"YES WE HAVE PUPPIES" Top Site on the Web for ENGLISH & FRENCH BULLDOGS.. If you're looking for a well bred English or French Bulldog you've come to the right place. We breed for health, temperament & looks, IN THAT ORDER. Pull out your favorite chew toy and pour yourself a bowl of bully treats, and before you know it, you'll be "THE NEIGHBORHOOD BULLY." Hope you enjoy the site. Click individual image to view slideshow of each puppy. San Diego-based BigBulldogs.com offers purebred English bulldog and French bulldog puppies for sale to loving owners located throughout the country. BigBulldogs.com was founded and is run by Todd Howard. A bulldog breeder, enthusiast, and animal rights advocate with over 20 years of experience. BigBulldogs.com breeds quality bulldogs and does its best to warn consumers of fraud within the industry. Howard of BigBulldogs.com provides some of the best-looking, best tempered, and healthiest bulldogs. Unlike other breeders, he chooses parents not based on champion bloodlines and registry, but on health, temperament, and looks. As a result, BigBulldogs.com maintains a number of top-quality studs and dams that they either own or co-own. From this breed of dogs and others, Howard and his staff offer a variety of healthy, attractive pups 8 weeks of age and older, all of whom are ready for a loving family and home. As a leading national seller of bulldogs, BigBulldogs.com makes it a goal to inform its customers and bulldog owners alike. The website maintains an extensive FAQ section, where Howard fields questions about the breed regarding health, fitness, care, and maintenance. In addition, BigBulldogs.com includes an e-commerce service through which customers can purchase recommended vitamins aimed at enhancing the lives of their bulldogs. Finally, Howard and his staff seek to warn others about the latest bulldog scams circulating in the industry. Some of the recommendations they make include avoiding sellers that insist on only communicating via e-mail; never paying cash unless they are able to visit the dog in person first; and going with any gut feelings they have that the deal or the seller may be fraudulent or unscrupulous. 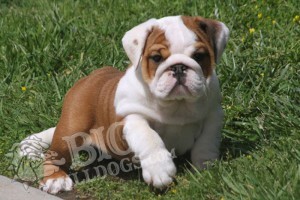 BigBulldogs.com offers a two-year health guarantee on its bulldog pups, more than twice the industry standard, and agrees to be available for questions and consulting about its pups for life. For more information on these suggestions and others from a top company in the bulldog breeding industry, log onto BigBulldogs.com.